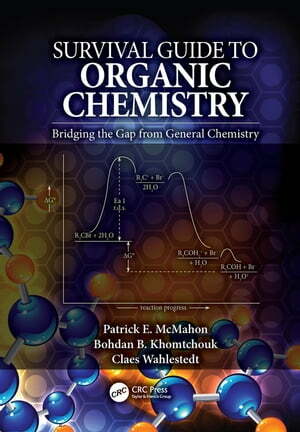 Collins Booksellers - Survival Guide to Organic Chemistry by Patrick E. McMahon, Bohdan B. Khomtchouk & Claes Wahlestedt, 9781351848220. Buy this book online. The Survival Guide to Organic Chemistry: Bridging the Gap from General Chemistry enables organic chemistry students to bridge the gap between general chemistry and organic chemistry. It makes sense of the myriad of in-depth concepts of organic chemistry, without overwhelming them in the necessary detail often given in a complete organic chemistry text. Here, the topics covered span the entire standard organic chemistry curriculum. The authors describe subjects which require further explanation, offer alternate viewpoints for understanding and provide hands-on practical problems and solutions to help master the material. This text ultimately allows students to apply key ideas from their general chemistry curriculum to key concepts in organic chemistry.